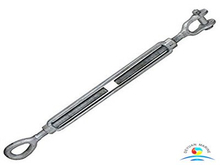 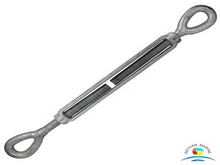 Turnbuckle,also call stretching screw or bottlesrew,is a kind of rigging hardware which used to adjust the tension or length of ropes,cables,tie rods.Turnbuckles are also used for tensioning a ship's rigging and lashings. 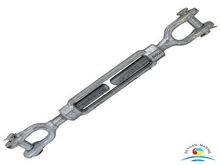 Turnbuckles with a variety of sizes are popular used in power line,shipping and construction. 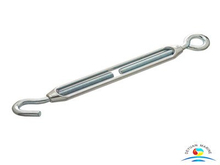 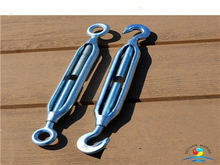 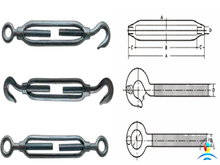 Deyuan Marine offer hook and hook turnbuckles,hook and eye 45#carbon steel turnbuckles,eye and eye hot dip galvanized turnbuckles,Jaw and eye turnbuckles,Jaw and jaw turnbuckles.All our turnbuckles's end fittings are quenched and tempered,turnbuckles's bodies heat treated by normalizing. 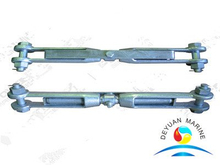 Deyuan marine offer good quality turnbuckles with compectitive price,pls donot hesitate to contact our sales team if you are looking for any turnbuckles.